Valentine's day isn't only for your spouse or partner. It can also be a time to celebrate your friends--and your furry ones may be the most important. 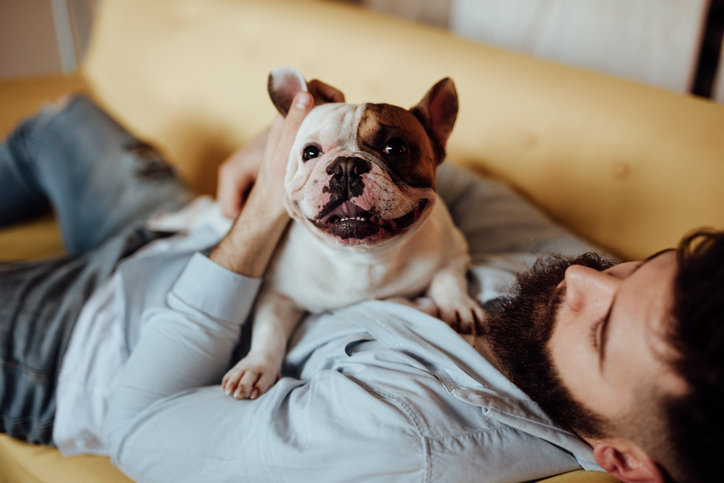 "Valentine's Day is a fun, light-hearted holiday and a good yearly reminder to show appreciation to the ones you love, and that's not just limited to humans," says Dr. Jen Kasten, technical services veterinarian at Tomlyn Veterinary Science. "Our pets are our daily companions and there are plenty of ways to make them feel extra special on Valentine's Day." Treat Scavenger Hunt: It's no secret that dogs and cats are motivated by food. Make them feel extra special on Valentine's Day this year by hiding a handful of their favorite treats around the house so they'll have yummy surprises throughout the day. This technique is also great for helping dogs build confidence as they get a positive reward when they find the treat. Toy-Filled Stocking: Who says stockings are just for Christmas? Make or buy a heart shaped stocking and pack it with your pet's favorite toys and treats. Watching your cat or dog play with new a toy is one of the best experiences, so it'll be a gift for both you and your pet! Don't forget to document the opening of the stocking via photos! Opt Outdoors: Live somewhere that's already warm in February? Hop in the car and head to your dog's favorite trail for the day. Bring along snacks and plenty of water. Maybe even make it a double date by inviting your dog's favorite canine friend to come along for the adventure. Take a Trip to a Pet Retail Store: Does your pet have a favorite store? Take them on a surprise trip and let them sniff their way down the aisles, picking out a few (or as many as they want) new toys to take home. Donate a Valentine's Day Gift to Local Shelter Pets: If your dog or cat isn't motivated by new toys or treats, or you don't have a pet, consider putting together a Valentine's Day gift for animals at your local shelter. Include a new warm blanket or bed, a catnip flavored mouse toy for the cats, or a bone to chew on for the dogs. Shelters can be a stressful environment for pets, so it's important to make them feel as comfortable as possible until they are ready to go to their forever home.